Firman with its Sumec Firman Generator is a well known brand when it comes to gasoline generators. 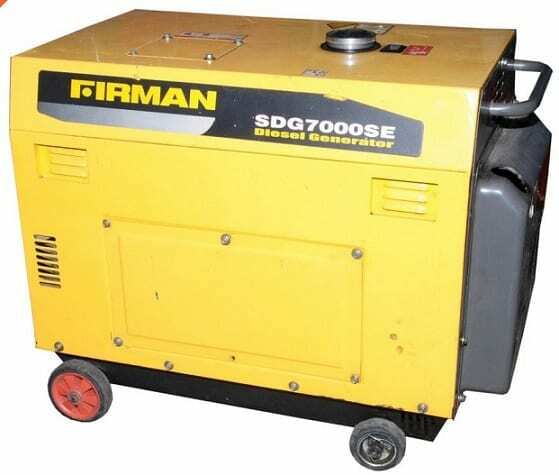 However, it may interest you to know that Firman also make diesel generators. Firman Diesel Generator offer power capacity ranging from 2.5KVA to about 2000KVA with soundproof enclosures available in some model. Firman diesel generator offer low to high power capacity which makes them good for residential installations, small commercial enterprises, and industrial applications. The low power Soundproof models can also be a plus for residential areas. If you are looking for a low-power soundproof diesel generator for your home or business, the Firman Diesel Generator is one option to consider. If also you need high power generators up to 2000KVA, Firman has options for you. Firman Diesel Generator come with a number of engine options. The low power models feature engines from Firman, while the medium to high power models come with engines from Perkins, Cummins, MTU, or Firman. The Cummins driven generators offer capacities from 25KVA to 2080KVA, while the Perkins engine models range from 9.1KVA to 2250KVA. Industrial grade Firman Diesel Generator with Firman engines range from 9KVA to 250KVA. If you need a diesel generator for a home or small business, Firman Diesel Generator between 2.5KVA to 5.5KVA may interest you. Some models like the Firman SDG5000SE 4.2KVA Generator, Firman SDG3500SE 2.8KVA Generator, and the Firman SDG7000SE 4.5KVA Generator are soundproof. The SE indicate that they are soundproof (for S) and (E) indicate they offer Electric Start (Key start).